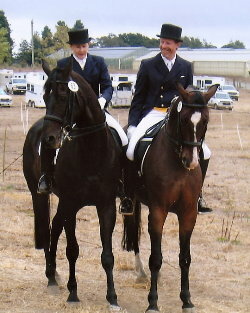 TopView Farm and Michael Pineo Dressage welcome your interest and questions. Mike is based in Mill Spring ("Tryon") NC from April through December and in Wellington FL for the winter competition season. Please contact us before planning your visit. Thank you! TopView Farm is located under 5 miles from the Tryon International Equestrian Center. Closest airports are Charlotte International, Greenview-Spartenburg Regional and Asheville Regional. Lodging recommendations can be provided on request. TopView Farm, Mill Spring, North Carolina 2018. All rights reserved. Formerly High School Farm, California.